This Danzon Silk Blouse is made from a silk/spandex, making it incredibly comfortable, luxurious and easy to wear. The blouse is perfect for the corporate woman who wants versatility in a garment. Just add a Sculptural Head Wrap to the ensemble and voila a glamorous ensemble for the evening. 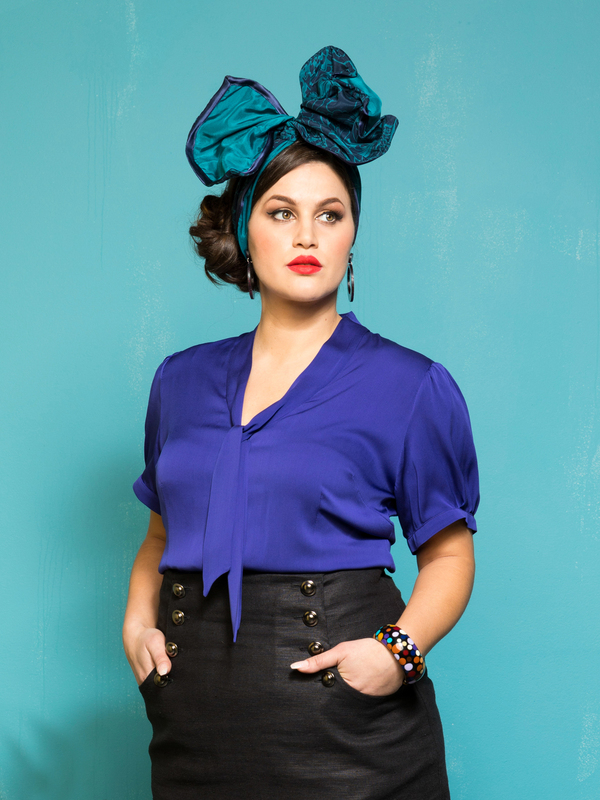 The Sculptural Head Wrap is made to order in our studio using your selection of fabrics!